This beautiful locket will be at the next BrisStyle market. Mrs Smiley's lockets is just one of the many talented artists that will be at the BrisStyle indie Designers Market on 4 September. I'll be there with my babushka bags and a bunch of new brooches. 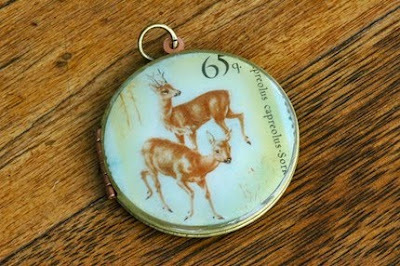 Oh Hayley, thanks for including my dear deer ;-) locket on your blog!